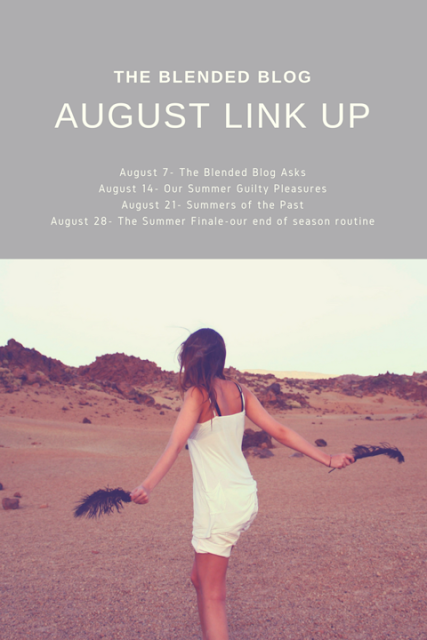 Happy Monday and welcome to another Summertime Fun link up with my fabulous friends at The Blended Blog. After thinking about today's topic, I realized that I seriously need to add more guilty pleasures to my life. Things are looking pretty boring over here! My biggest guilty pleasure is reading, and in the summer I try to take as much time as I can with a good book. We've had great weather for deck sitting, and with a beach vacation and a few road trips thrown in, I've been reading the days away. Every single book I've read has been excellent, so I won't give individual reviews. You can't go wrong with any of these choices, especially if you're looking for a "can't put it down" story! I started the summer with The Nightingale by Kristen Hannah, which was my TBB Virtual Book Club choice. We'll be reviewing those picks on the 24th, and there's still time to join before we start our next round. Let me know if you're interested and I'll send you all the info. 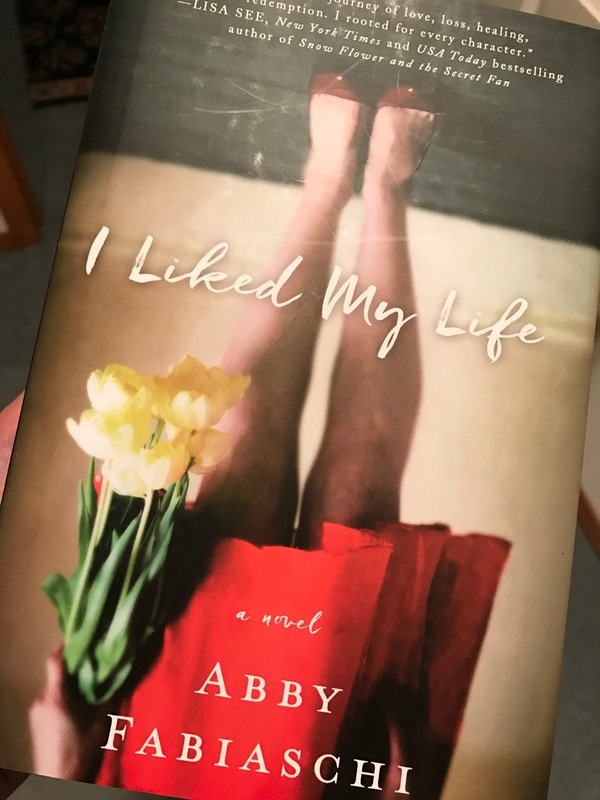 I moved on to I Liked My Life by Abby Fabiaschi, which was a recommend from my sister. Maddy is a devoted wife and mother who commits suicide, leaving her husband and daughter trying to figure out why. This book is heartbreaking and beautiful. 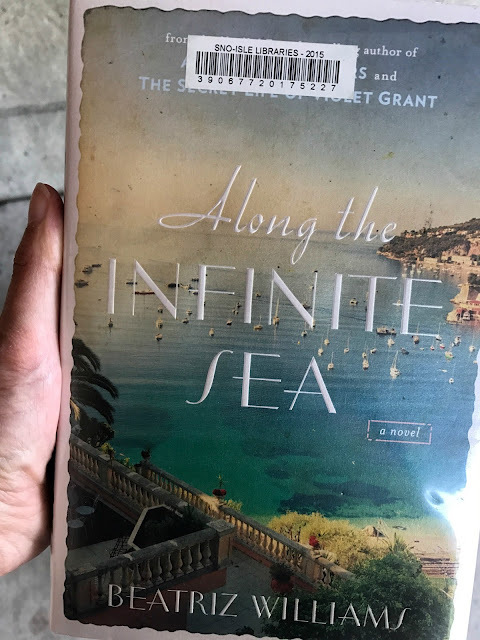 My most recent read was Along The Infinite Sea by Beatriz Williams. The story alternates between the late 1930's and 1966, telling the love story of Annabelle. By far the best book I've read all year, this one gave me chills at the end. So, so good. 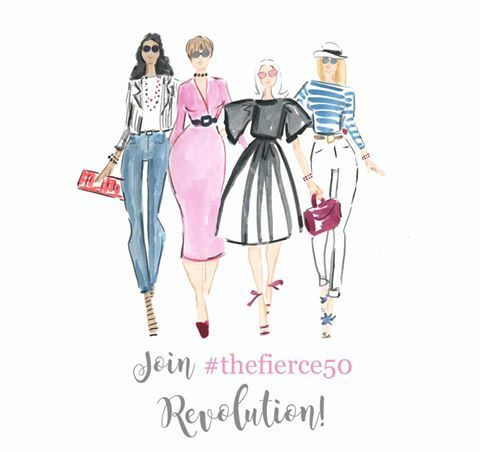 Hop over to The Blended Blog to see what the other ladies have to say about their guilty pleasures, and then link up with us below! Nothing like good summer reads!! You sold me on Along The Infinte Sea, I can't wait to dig into that one. Happy Monday beautiful lady!! The Nightingale and Along the Infinite Sea were two of my favorite books so far this year too. 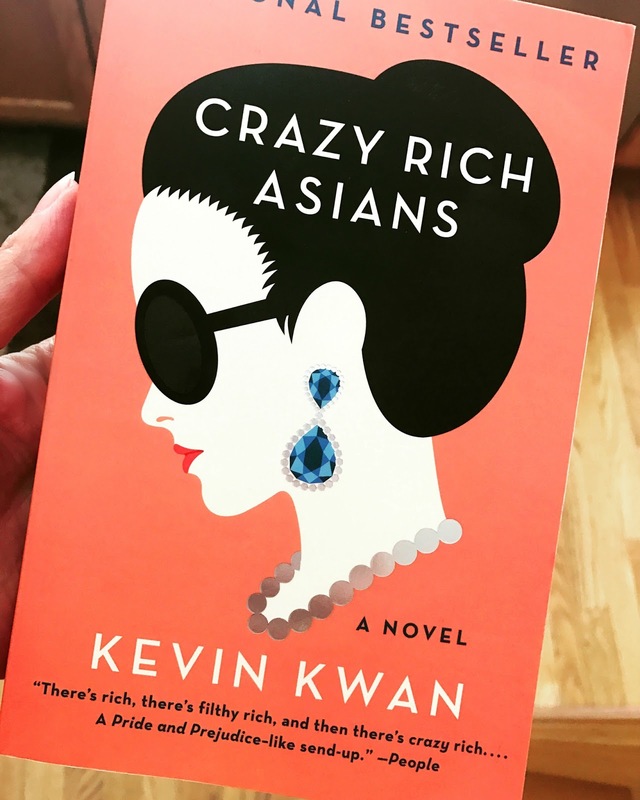 I've been wanting to read Crazy Rich Asians. Have a great week! I'm reading 100 summers by the author of that INfinite Sea...will have to add that one to my list! I only read one so I am putting the others on my list. Thanks! I tend to listen to more book in the summer because I love to put one on when I am out in the garden or working in the kitchen with my harvest. I love to read too! The Nightengale was sooooooo good! I love getting books from the library and they don't always have the newest releases but I am definitely going to check on Along the Infinite Sea!!! Thanks for the rec! Ha! Your comment that you needed more guilty pleasures totally cracked me up! If you liked Beyond the Infinite Sea, you should read A Hindred Summers. It was my favorite Beatriz Williams novel!! These sound wonderful; I LOVED the Nightengale and reading is definitely one of my guilty pleasures! I have already read 9 books this August!! Wow, look at all that reading you've done...I need to do some too, yet I don't. I would rather watch tv with the Mr. :) One day. Sounds like you've found some really good titles! My TBR list is already too long! Groan... Now I have more to add! I wish I enjoyed reading. 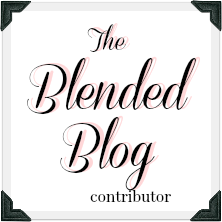 Now all my reading comes in the form of blogs. I rarely even read magazines any more. I think ice cream should be on everyone's list😉. I'll need to add that last one to my list, and no, not just because the main character's name is Annabelle (though, I'd be lying if I said that wasn't a factor lol). Along the Infinite Sea is next on my list! Well.. almost next. I have a small stack. I loved The Nightingale too.